Air pollution is responsible for 10,000 to 30,000 deaths in Delhi every year. It is also the fifth leading cause of death in India, a report by the Centre for Science and Environment (CSE) had stated in 2015. Air pollution in the national capital is a result of a complex mix of anthropogenic (vehicle emissions, industry emissions, waste burning and crop burning) and natural sources like road dust. On October 31, the levels of PM 10 and PM 2.5 reached as much as eight times the safe limit. It was not the first time and it won’t be the last. Meteorological conditions like cold and stagnant air trapped pollution close to the ground and that resulted in some of the worst smog days in the last 17 years. As rational observations are lost in the din over worsening air quality in Delhi, we piece together the various sources of air pollution to better identify the entities and individuals who need to combat the crisis on war footing. 1. Road dust: A range of studies on Delhi's air quality, including the one by IIT Kanpur, consider road dust as the top contributor to rising levels of PM 2.5 in the city. 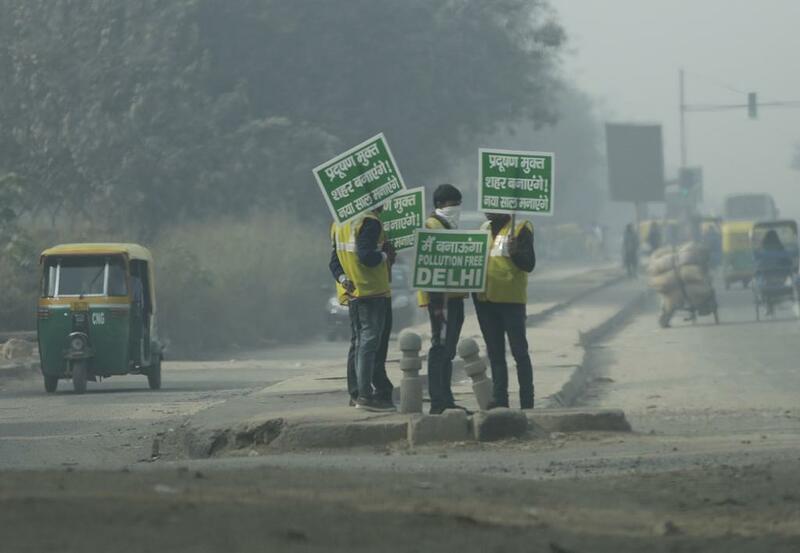 There’s no ambiguity that the dust must settle if Delhi’s toxic air has to be cleaned up. Delhi has been in the thick of construction activity for years now and the dust deposits at construction sites have taken a toll on the air quality. According to experts, silica is the most harmful element in construction matter as it escapes human body’s filter mechanism and reduces lung capacity, making people vulnerable to all kinds of infections. Unpaved roads and the non-greened shoulders of roads also add to the burden of dust emission. The daily PM10 and PM2.5 emissions from road dust are estimated to be 79,626 kg and 22,165 kg respectively. Recommendations: Timely sweeping, dust dispersion methods and maintenance of road surfaces and pavements must be done. Green barriers, in the form of low shrubs and plants, must be placed effectively to act as dust dispersal techniques. Existing rules and guidelines for construction sites must be enforced stringently in order to prevent dust from construction activities. Agencies accountable: Municipal Corporations (South, East, North and New Delhi), CPWD, PWD Delhi and Municipal corporations of Gurgaon, Faridabad, Noida and Greater Noida. 2. Vehicular emissions: A study conducted by IIT Kanpur on Delhi’s pollution levels revealed that emissions from vehicles are the second largest source of particulate matter, especially PM2.5. In winter, vehicles contribute 25 per cent to PM2.5 concentration in air, with diesel vehicles contributing a large share to both PM10 and PM2.5 levels. According to a CSE study in June 2016, Delhi has over 8.9 million registered vehicles and additionally, 570,000 personal and passenger vehicles enter Delhi every day. According to the Economic Survey of Delhi, the number of vehicles coming into Delhi is almost equal to the number of vehicles registered in the city in a year. Moreover, around 23 per cent of the cars registered in Delhi are diesel. Diesel cars emit 7.5 times more particulate matter than the petrol versions and produce more toxic nitrogen dioxide. Delhi continues to see a spike in air pollution load despite introduction of compressed natural gas (CNG) because it still has the highest vehicle density per kilometre in the country. 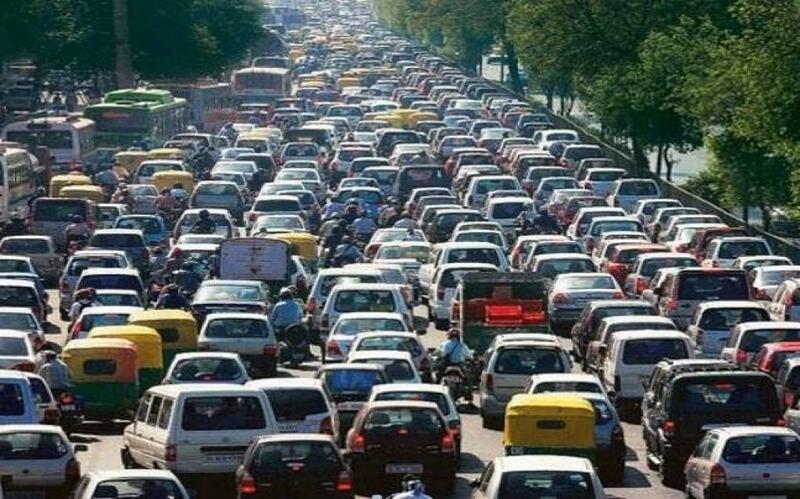 Crammed for space, the average speed of vehicles goes down. With lower speed, engine efficiency reduces and emission levels increase. Recommendations: Restraining measures like increasing parking fee to deter growth of number of vehicles and emergency restrictions on use of private vehicles must be imposed. Vehicles operating on clean fuels such as CNG and electric vehicles must be incentivised and polluting fuels (diesel) and older vehicles disincentivised through demerit taxes. Public transport infrastructure and services must be ramped up on war footing. Agencies accountable: Municipal Corporations (South, East, North and New Delhi), CPWD, PWD Delhi and Municipal corporations of Gurgaon, Faridabad, NOIDA and Greater NOIDA (for parking pricing), state governments of Delhi, Haryana and Uttar Pradesh (for public transport), Union Ministries of Road Transport and Highways, Petroleum and Natural Gases (for vehicular emissions). 3. Crop burning: Air pollution knows no boundaries and Delhiites know it better than anyone else. During the agricultural-clearing season (late October and November), burning of agricultural biomass residue is widely practised to remove the paddy stalk and prepare the field for wheat cultivation. 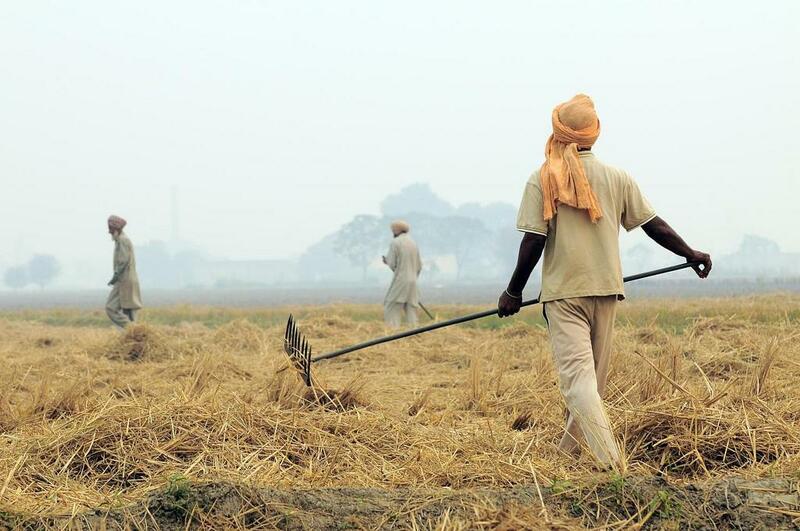 Punjab, alone, burns about 18 million tonnes of paddy straw during this period. It contributes between 12 and 60 per cent of PM concentrations. The satellite images of NASA’s fire mapper revealed that the cases of paddy burning in Punjab, Haryana and Uttar Pradesh increased after Diwali (October 30). It led to severe smog in the national capital. Recommendations: In the short term, the use of agri-implements to prevent crop residue burning must be incentivised through subsidies on purchase and usage, on a co-ownership model. In the long term, alternative usage of paddy straw in the form of biomass-based power plants, biofertiliser plants and bio-fuels must be promoted. Remote sensing agencies along with grassroots level enforcement teams for prevention of burning and penalising offenders need to be considered. Agencies accountable: State Pollution Control Boards of Punjab, Haryana and Uttar Pradesh (for detection and penalisation), state departments of Agriculture, Science & Technology and Power of Punjab and Haryana (for subsidies on agri-implements) and Central government (for assistance for subsidies). 4. Waste burning: Improper waste management leads to burning of wastes both at landfill sites and in open areas. 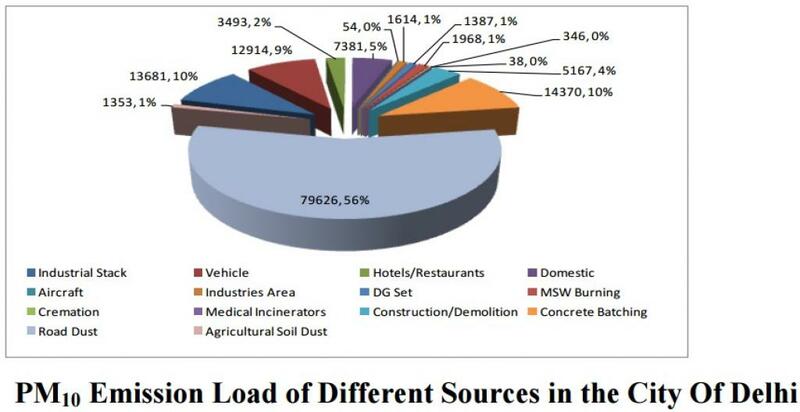 While Delhi-NCR generates 10,000 tonnes of municipal solid waste every day, much of it is eventually burned, adding particulate pollution to the air. 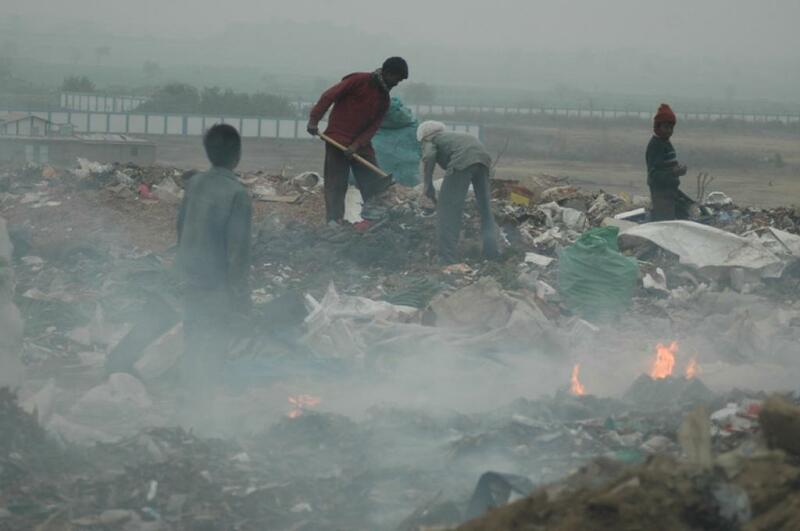 Smoke rising steadily from a mound of solid waste is a common sight in Delhi’s Ghazipur landfill. The National Green Tribunal order in April 2015 stated that garbage burning contributes 29.4 per cent of air pollution with reference to PM10. While the municipal corporations have decided to impose hefty penalty (Rs 20,000-Rs 100,000) as stipulated by the NGT to curb rampant practice of waste burning, not much has been done to mandate waste segregation at source and penalise households and institutions that do not follow suit. Recommendations: Flawed system of waste disposal and management encourages a landfill fire. Delhi, like most cities, is struggling to manage waste. 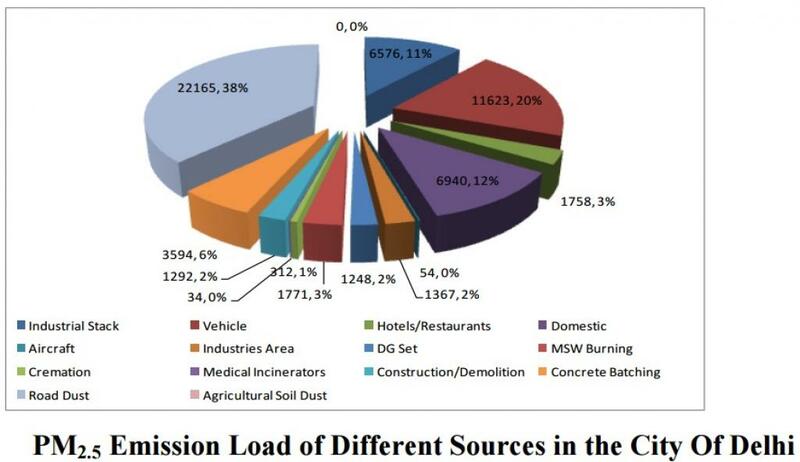 While the Municipal Solid Wastes (Management and Handling) Rules, 2000 gives detailed specifications for collection, segregation, storage, transportation, processing and disposal of solid wastes, there is an absolute collapse of financial and institutional (human) capacity and accountability in our municipal systems. 5. 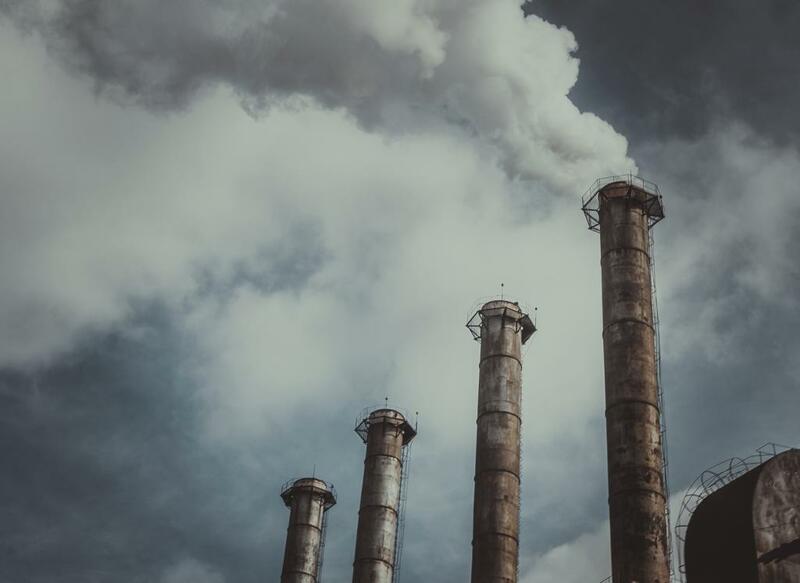 Industrial emission: According to a study by the IIT Kanpur, power plants, industrial clusters, restaurants and the diesel generators are the primary source of sulfur dioxide (SO2) and nitrogen oxides (NOx). The study also pointed out that about 98 per cent of the 142 tonne SO2 and 60 per cent of the 312 tonne NOx emitted in Delhi’s air each day come from these sources. Breathing SO2 or NOx even for short periods can cause adverse respiratory ailments like airway inflammation, asthma symptoms and bronchoconstriction. When released into the atmosphere, these pollutants form sulphate or nitrate fine particles that chock airways to lungs. Recommendations: Stringent enforcement of existing laws and standards for industrial pollution is the need of the hour. Although Delhi has disallowed many polluting industries within its borders, they have come up in bordering areas of Uttar Pradesh and Haryana. A regional approach to pollution needs to be taken to counter the pollution sources in the NCR region. To me it seems that the immediate cause of air pollution problem was burning of crackers on such a large scale in Delhi. Every year government launches campaigns asking people not to burn crackers. But there is no impact on the ground. The authors of this article should have shed some light on this also. Heavy excise taxes on production of crackers and ban on any import of crackers can be an option. Ban on import might run into conflict with WTO norms, but there are relaxations on health and environment grounds.